B-Town, these days is producing many biopics, realizing the hard work of our real heroes and the need for their recognition among all. After the successful releases of The Accidental Prime Minister, Manikarnika and Super 30, Bollywood is all set to give the audience the story of our star ace badminton player in Saina Nehwal’s biopic. The plan was revealed last year itself when Shraddha Kapoor was chosen as the lead actor. Her training also began so that she could do justice to the role. Fans were really excited to see Shraddha’s never-before-seen avatar onscreen. Why did Shraddha Kapoor back out? Much to the surprise of her fans, Shraddha backed out of the film and as a result, many rumours came into sight. As per the words of the actress, she had a busy schedule and could not give time to director Amol Gupte. A source revealed that the Stree actress kept giving priority to other films instead of champion Saina Nehwal’s biopic. 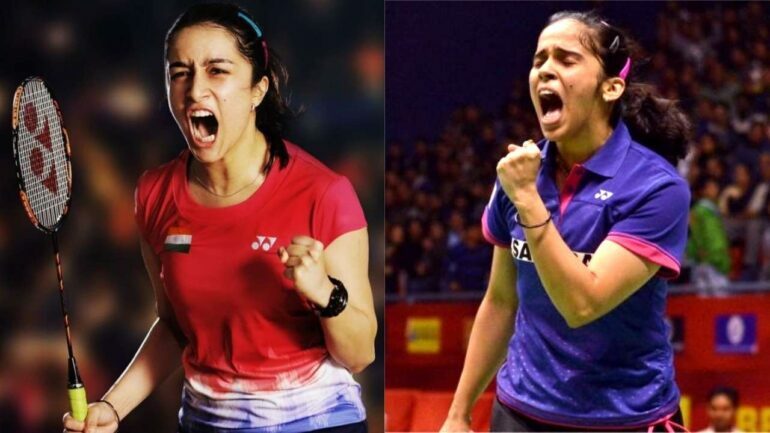 Some reports even say that despite being trained for over a year, Shraddha Kapoor could not adopt the character of Badminton champion Saina Nehwal. But, producer Bhushan Kumar is in full mood to release this biopic in the Olympic year 2020. Thereby, called for an immediate replacement of the lead character. The producer Bhushan Kumar made a quick decision and gave Parineeti Chopra the responsibility of the lead role. Bhushan wants to release the moviet in the Olympic year. The reason being the hard work that Saina Nehwal has put in and made the nation proud. Parineeti Chopra is super excited to represent the badminton star in Saina Nehwal biopic. It is like a dream come true for her as she always wanted to do a sports-based movie. Parineeti promises her fans to give her best to the movie and treat her fans with a super duper hit. So, Parineeti fans and Saina fans are all waiting eagerly for the release of the movie.